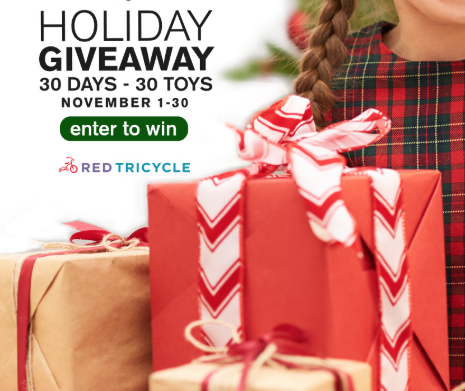 The holidays are almost here and you can enter to win 1 of 30 free toys in this new Red Tricycle Holiday Toys Sweepstakes! Fill out the form once and you’ll be entered to win a toy a day throughout the month of November. Go here for the list of toys being given away each day. Note that this will subscribe you to their newsletter, but you may unsubscribe at any moment. Good luck!